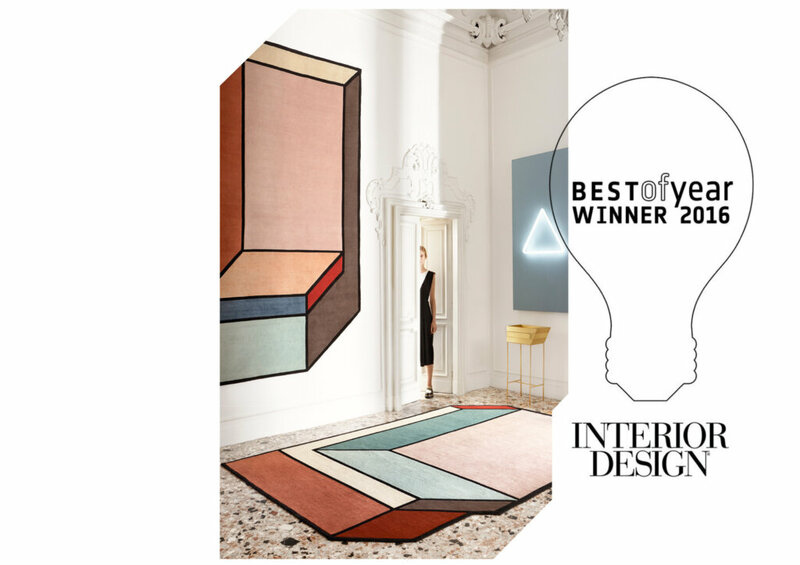 We are proud to announce that our Visioni Rugs designed by Patricia Urquiola have won Interior Design’s BEST OF YEAR award in the “Carpets/Rugs: Designer Collection” category. The award ceremony took place on the 1st of December where 900 people from the design community gathered in the state-of-the-art Frank Gehry design, IAC Building in New York City. The winners were announced live by hosts Cindy Allen, Editor in Chief, and Carol Cisco, Publisher of Interior Design. Over 200 entries were submitted by 38 countries in 130 product and project categories. We would like thank Interior Design for this prestigious award and are extremely honored to be included amongst such amazing projects and products by some of the world’s leading design companies and studios.